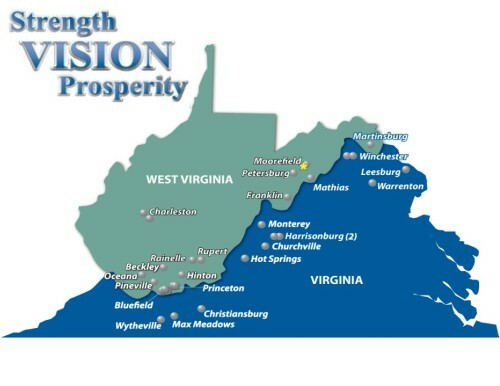 Summit Financial Group, Inc. is a $2.1 billion financial holding company headquartered in Moorefield, West Virginia. Summit provides community banking services primarily in the Eastern Panhandle and Southern regions of West Virginia and the Northern, Shenandoah Valley and Southwestern regions of Virginia, through its bank subsidiary, Summit Community Bank, Inc., which now operates thirty banking locations. Summit also operates Summit Insurance Services, LLC in Moorefield, West Virginia and Leesburg, Virginia. You are leaving Summit Financial Group web site. The web site you have selected is an external one located on another server. Summit Financial Group has no responsibility for external web site. It neither endorses the information, content, presentation, or accuracy nor makes any warranty, express or implied regarding any external site. NOTICE: The data provided here is for informational purposes and is not intended for trading purposes. Neither Summit Financial Group, SNL, nor their data or content providers guarantee the adequence, accuracy, or completeness of any stock price information or other data displayed, nor shall any such party be liable in any way to the reader or to any other person, firm, or corporation whatsoever for any delays, inaccuracies, errors in, or omission of any such information or data or the transmission thereof, or for any actions taken in reliance thereon or for any damages arising therefrom or occasioned thereby or by reason of nonperformance or interruption, or termination, of the stock price information for any cause whatsoever.